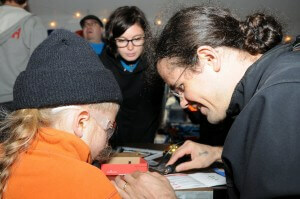 SparkFun How to Solder with David Stillman in a Laboratory B T-shirt! Check out that cool t-shirt that Dave is wearing! He picked it up when we was up in Vermont visiting for Champlain Maker Faire. Author Jesse KrembsPosted on October 17, 2012 October 17, 2012 Categories Jesse Is Lame For Not Using CategoriesLeave a comment on SparkFun How to Solder with David Stillman in a Laboratory B T-shirt!